Water availability is the dominant control of global terrestrial primary productivity with concurrent effects on evapotranspiration and ecosystem respiration, especially in water-limited ecosystems. Process-oriented ecosystem models are critical tools for understanding land–atmosphere exchanges and for up-scaling this information to regional and global scales. Thus, it is important to understand how ecosystem models simulate ecosystem fluxes under changing weather conditions. 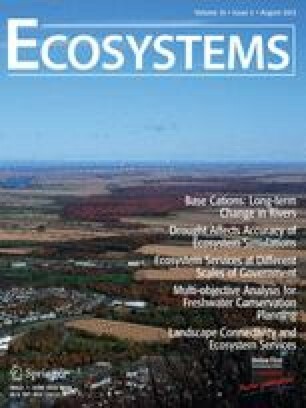 Here, we applied both time-series analysis and meta-analysis techniques to study how five ecosystem process-oriented models-simulated gross primary production (GPP), ecosystem respiration (Reco), and evapotranspiration (ET). Ecosystem fluxes were simulated for 3 years at a daily time step from four evergreen and three deciduous Mediterranean oak woodlands (21 site-year measurements; 105 site-year-simulations). Mediterranean ecosystems are important test-beds for studying the interannual dynamics of soil moisture on ecosystem mass and energy exchange as they experience cool, wet winters with hot, dry summers and are typically subject to drought. Results show data-model disagreements at multiple temporal scales for GPP, Reco, and ET at both plant functional types. Overall there was a systematic underestimation of the temporal variation of Reco at both plant functional types at temporal scales between weeks and months, and an overestimation at the yearly scale. Modeled Reco was systematically overestimated during drought for all sites, but daily GPP was systematically underestimated only for deciduous sites during drought. In contrast, daily estimates of ET showed good data-model agreement even during drought conditions. This meta-analysis brings attention to the importance of drought conditions for modeling purposes in representing forest dynamics in water-limited ecosystems. R.V. and D.D.B. : designed the study; R.V. : performed data analysis; G.A., J. M.C., P.C., H.K., D.Pearson, S.P., O.S. : contributed with model results; A.C., A.C., J.M.O., D. Papale, J.S.P., S.R., D.D.B. : contributed with site observations; R.V. : wrote the paper with contributions from G.A., J. M.C., P.C., H.K., D.Pearson, T.K., S.P., O.S., A.C., A.C., J.M.O., D. Papale, J.S.P., S.R., D.D.B. The online version of this article (doi: 10.1007/s10021-013-9648-1) contains supplementary material, which is available to authorized users. This study used data produced in the La Thuile 2007 FLUXNET workshop. We thank Deb Agarwal, Dario Papale, Markus Reichstein, and Catharine van Ingen for their study in the organization of the La Thuile data set. We acknowledge financial support for database development and maintenance from CarboeuropeIP, FAO-GTOS-TCO, iLEAPS, the Max Planck Institute for Biogeochemistry, the National Science Foundation, the University of Tuscia, the US Department of Energy, the Berkeley Water Center, the Lawrence Berkeley National Laboratory, Microsoft Research eScience, and Oak Ridge National Laboratory, University of Virginia. J.P. and A.C. thanks João Banza for collecting flux tower measurements and Teresa do Paço for reviewing and correcting evapotranspiration fluxes in the Évora experimental site. R.V. acknowledges support from Ciencia Básica CONACyT (152671). D. Pearson was supported by the Joint UK DECC/Defra Met Office Hadley Centre Climate Programme (GA01101). D. Papale acknowledges the support from GHG-Europe FP7 European project. This manuscript was improved by comments of two anonymous reviewers and Dr. Thomas Hickler. Kowalczyk EA, Wang YP, Law RM, Davies HL, McGregor JL, Abramowitz G. 2006. The CSIRO atmosphere biosphere land exchange (CABLE) model for use in climate models and as an offline model. CSIRO Marine and Atmospheric Research Paper 013, CSIRO, Australia. (http://www.cmar.csiro.au/e-print/open/kowalczykea_2006a.pdf).